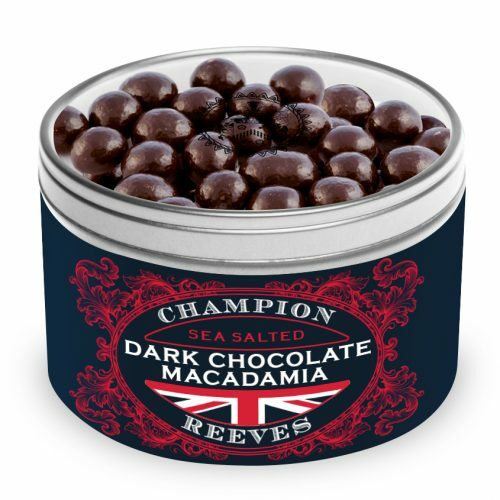 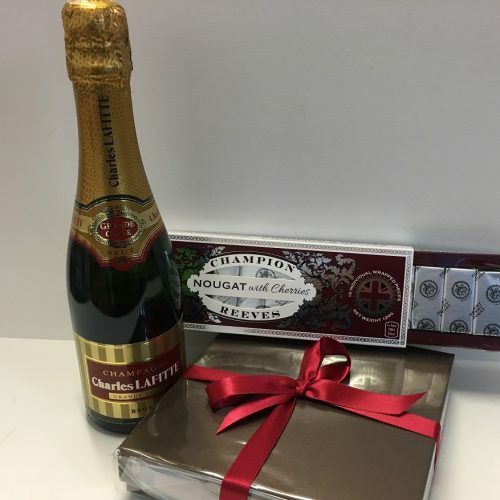 Our famous nougat is now wrapped in premium chocolate. 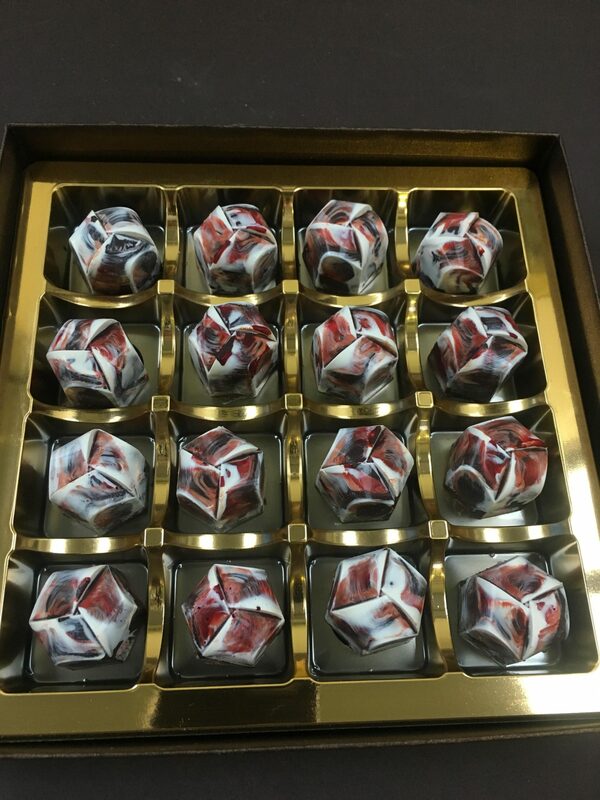 Each piece is hand marbled, the chocolate used is an organic Peruvian chocolate, which we believe is one of the best. 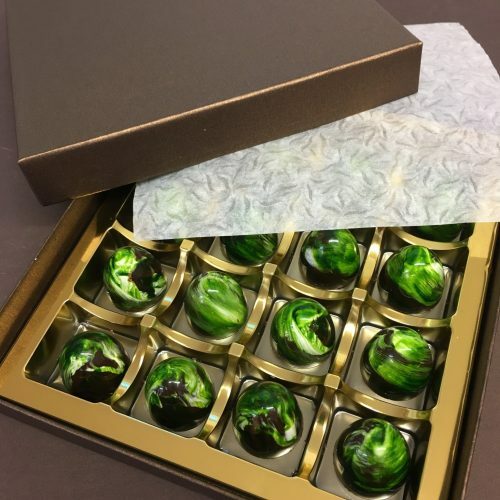 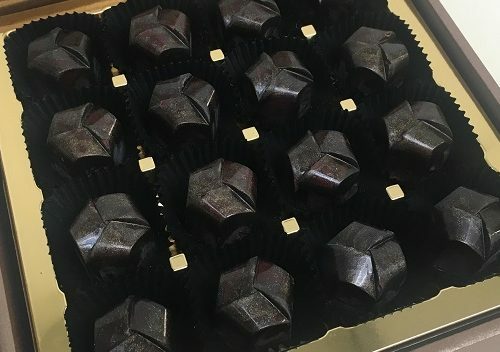 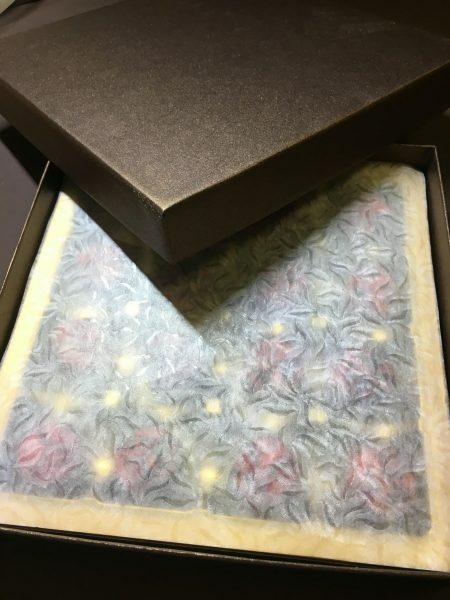 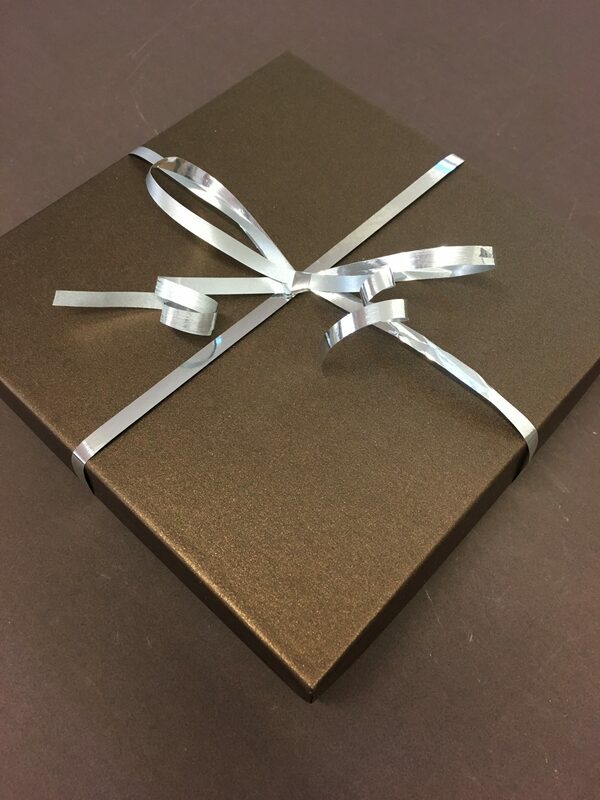 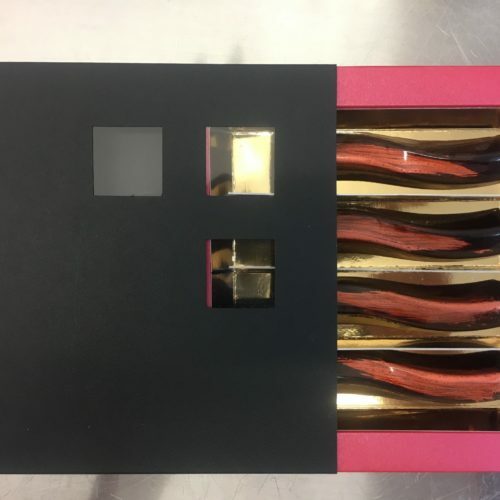 Presented in a luxury presentation box containing 16 of the most amazing pieces of nougat with pistachio and almond wrapped in chocolate – truly phenomenal !